 In the story of Lazarus, we see a side of Jesus that no other story shows us. In the midst of death and grief, Jesus enters in and allows himself to grieve with the people. We find that we have a savior that not only feels and understands the pain of loss, He has the power to overcome death itself! Part 6 - From No Sight to Insight! In the story of the blind man being healed we find that the tables get turned on us! We are the ones who are blind. Our sinful nature makes us spiritually blind to the Truth, but in Jesus, we find the Light of the World and our sight is restored! One of the guarantees in life is that we will go through storms. There a moments when we find ourselves lost in the dark, out at sea, and the entire world seems bent on destroying us. When the storms blows and waters rage, we need to remember that we serve a God who walks on the water! Jesus finds us in the midst of the storm, calling us to not be afraid. Life can be overwhelming. We face seemingly insurmountable problems and difficulties sometimes and we feel powerless. What Jesus shows us in his miracle of feeding the 5,000 is that no problem is too big, no person is too weak, and no hunger is too deep when you add Him to the equation! We have all had days or weeks when we've thought that we could go no further. Everybody knows what its like to be at the end of their rope. The good news is that we don't have to stay down in the dumps, crippled by out limitations or current situation. With Jesus, we have the power to get up and walk! We often talk about our Christianity being a "faith walk" because our faith is journey. It's never in an instant that one becomes a Christian and is immediately strong, has perfect faith, and understands all the ways of God. With Him, faith is a constant journey, taking our life on expected roads and pit stops, all to help us grow and become more like Jesus. Part 1 - When the Water Blushed! In John's Gospel, the sign miracles are the ones that point the heart to who Jesus really is. 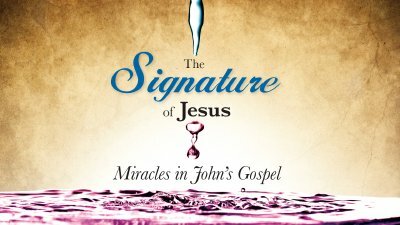 The first sign miracle in John's Gospel is when Jesus turned water to wine. When we look at this wedding celebration we see four distinct gifts that Jesus brings us!